Formal hair styles come in various shapes, cuts, and styles. 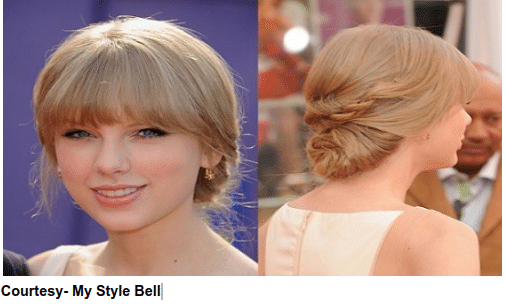 Earlier formal hair styles meant straight backed hair with no fringes or bangs for men, and a neat layered look or bun for women. However, days have changed and now we see men sporting long wavy hair and women looking pretty in modern bobs. Also, hair stylists are coming up with new and innovative looks for formal events. Men with a round or square face can go for a side fringe. A center parting with feathered edges, on the other hand, is ideal for triangular or oblong shaped face. This look covers the ear tops and also takes care of the problem of receding hairline. This neat hair style is suitable for business parties, proms, and weddings. Men with long hair can opt for a long layered style. This look is ideal for black or dark brown hair. Formal hair styles for short hair include shapely blunts, bobs, and cropped hair styles. These hair styles are suitable for blondes, brunettes, red hair, and also hair. Straight hair is preferred. However, many of the hair styles can be tried on curly hair as well. Rihanna’s cropped look with a slant is ideal for women with short dark hair. Blunt cut style of Katie Holmes is a favorite with ladies who want to sport well shaped crown. This hairstyle is well suited for blondes and women with fine hair. Formal hairstyles for women with long hair are aimed at highlighting their shapely shoulders and slender neck. Women with long flowing tresses can go for America Ferrera’s long layered style. For formal events like Prom or office parties, you can also let down your hair to sport Mischa Barton’s blow-dried straight locks style. If you have long wavy or curly hair, you can go for Julianne Hough’s classic curls style. This hair style is well suited for a banquet party or red carpet event.